IT is a complicated thing in large companies like Orbitz (s oww), where open source doesn’t mean free and where NoSQL really means not only SQL. When Orbitz decided to move major portions of its infrastructure off Oracle’s (s orcl) in-memory Coherence database and onto the NoSQL Couchbase Server, it drastically increased its performance while savings millions of dollars a year. But that doesn’t mean Oracle doesn’t still have a seat at Orbitz’s IT table. Four hundred nodes have been reduced to 70 nodes that handles about 250 million objects and 1.2TB of data. In-memory cache size reduced to 55GB from 620GB. The company is saving more than $2 million a year in licensing, maintenance and operations costs. Orbitz can now reliably scale clusters across data centers. Latency has improved significantly, and multiple-times-per-week failures have ended. Orbitz can now roll out changes to its web applications without bringing them down. All told, Young said, Couchbase is just faster, easier, more efficient and more scalable. “We have not encountered any kind of negative tradeoff, everything has been positive at this point,” he said. The point-of-sale cluster went form 32 nodes (outside) to 10 (inside). Orbitz is testing a reduction to six nodes. But like Disney (s dis), which also recently made the switch to a collection of open source technologies, Orbitz isn’t playing around when it comes to making sure its systems are running optimially. While a handful of lower-value web applications are still running Membase or memcached, most are now running Couchbase’s Enterprise Edition, Young said. Free versions of open source products work for areas such as testing and development — heck, Orbitz even built and open sourced its own reporting tool called Graphite — but big companies have to choose carefully where to use them. Because hotels are the key to any travel business, Orbitz is perfectly willing to pay if it means those systems are displaying fast, accurate information to customers. “We like to make sure we’re getting the most for our cache in every sense of the word,” Young joked (bonus points for spotting the pun). Feature image courtesy of Shutterstock user concept w.
Now that Couchcon has happened is Steve Young’s presentation public? Is there any follow up to any of the question’s Cameron asked? Do you guys have any opinion on http://www.actian.com/products/ingres ? Have to agree with Cameron here… the “facts” should at least have been qualified with the product versions. Today’s leading In Memory Data Grids stack up very well to NoSQL solutions when it comes to performance, capability and total cost of ownership. For what it’s worth, I have asked Orbitz to comment on this debate, and I will update the post accordingly if I get a response. As I noted to Cameron, the post (and Young’s presentation on which it’s based) is really a look at what Orbitz was doing and what it decided to do based on its internal assessment. It’s not meant to be an analysis of every option it could have undertaken, which would have included other NoSQL databases, as well. This is simply nonsense, and shame on you for regurgitating this without any fact checking. Orbitz has been running a ***5 year old version*** of Coherence without a maintenance or support contract. Despite that, and at our own cost, several development executives, product managers and product developers from Oracle have traveled to the customer headquarters to meet with Orbitz executives, developers and operational personnel, both to check in on the progress with the existing systems, and to try to understand and fix any misunderstandings that led to Orbitz deciding to drop ongoing maintenance and support after the Oracle acquisition of Tangosol. As far as I can tell, the offers for assistance were declined, and the suggestions for improvements to the application and the operational infrastructure were ignored. I can’t speak for Oracle as a company or for Orbitz, but I know that the product development team, development management and product management have always been willing and ready to help, and have gone out of their way to do so. I’m very proud of our efforts to provide great service to Orbitz. Coherence is a great product, and it’s only getting better. Thousands of companies use it successfully in production for many of the highest scale systems in the world, and it’s backed by a brilliant and dedicated team. Next time, you need to get your facts straight before you post nonsense. In this case, the only facts that matter w/ regard to performance and open-source strategy are what Orbitz says, as it’s the only one that actually knows. And as you’ll note, the post isn’t an indictment of Coherence or Oracle, but rather an explanation of the improvements Orbitz said it achieved from switching to open source/NoSQL for some applications. Your comment might help shed some light on why Coherence wasn’t performing up to expectations, but the Oracle-Orbitz relationship is between the two companies. It’d be interesting to lean exactly what features of Couchbase are being used because it’s essentially memcache + CouchDB. 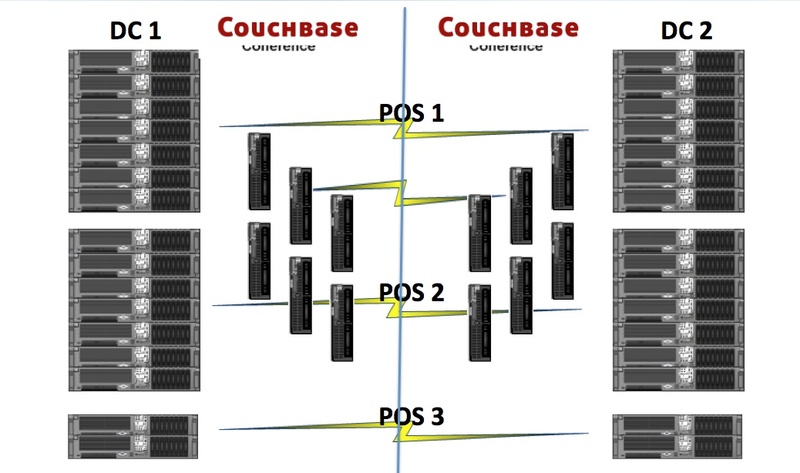 The reason to use Couchbase over those technologies independently is the management tools (especially clustering and failover) and how they’re combined into a single package. We used Membase back at Server Density for some time because of the clustering and failover support but removed it from our stack before they released Couchbase 2.0 and sorted out the ridiculous naming conventions for their various products (CouchDB, Couchbase, Membase, Membase Server, Couchbase Server, etc). For the record: Couchbase Server 1.8 that Steven was saying they are using at Orbitz in his presentation at CouchConf, does not actually contain any CouchDB. Couchbase Server 2.0 does contain some technology based on CouchDB but nothing more (for example the entire storage engine was written in C from scratch, but uses similar file format). Even the frontend, whilst based on memcached, uses a entirely different engine than regular memcache, as it needs to deal with shards and persistence and replication, etc. So don’t think describing Couchbase Server as memcache+CouchDB is very accurate, the behaviour and performance is really quite different. Yep. And if you scroll down that page there is a slideshow which gives some very quick bullet points that are worth checking if you don’t have time to view the video.